As a commercial property owner, you have the power to make an impact on the environment and your community by the way you treat your landscape. Sustainability matters. Environmentally-focused landscape practices set an example for those who shop, eat, work and play on our northeast Ohio properties. Whether you’re a retail center, corporate headquarters or local business, it’s important to send a message to the community that you care about the way your grounds are maintained. 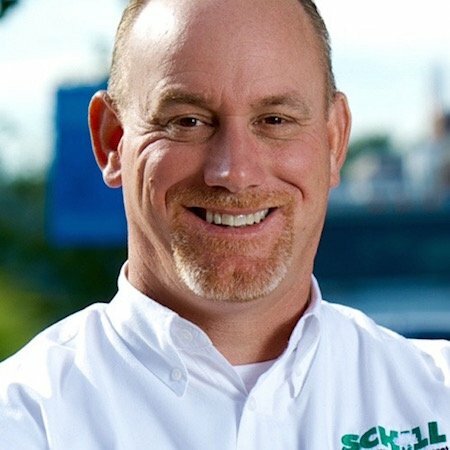 Schill Grounds Management makes it easy for commercial clients to mind Mother Earth because of our commitment to sustainability and nurturing a healthier environment. This promise impacts every service we provide, every product we offer, and every way that our experienced team members execute a commercial landscape plan on your northeast Ohio property. Here’s what we mean by sustainability, and how that commitment makes our commercial clients in northeast Ohio better community stewards. By mowing with propane-powered mowers, we cut carbon emissions by 50 to 70 percent. Propane is one of the cleanest burning fossil fuels. And, important for your northeast Ohio commercial landscape, this fuel is not harmful to soil or water. By 2015, Schill Grounds Management’s entire mowing fleet will be powered by clean burning propane. Equally important: Where does the fuel come from? We source it locally when possible to reduce dependence on foreign fuels, control costs, and create local jobs. How does your landscape firm fuel up? Find out what’s powering their mowers. Want to learn more about how to make your property look great while protecting the environment? Take a look at our comprehensive list of resources for property managers and owners. Our hybrid lawn care program naturally balances the soil pH, which eliminates the need for lime applications and creates an overall naturally healthy landscape. 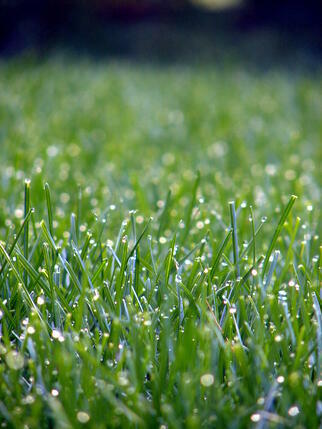 When a lawn is healthy, it requires fewer resources, saving our commercial clients time and money. And during the drought days of summer, their properties will withstand the dry weather because bio-nutrients can improve drought tolerance. What’s the nutrient content of the products your landscape company is applying to your northeast Ohio commercial property? Find out the answers, and ask if there are sustainable alternatives to chemicals that are designed for a curative vs. proactive approach. No yard waste should go to… well, waste. 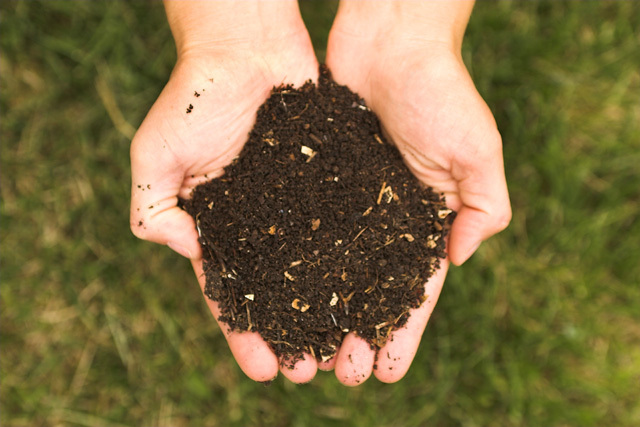 This is organic material that can be naturally recycled and either incorporated back into the landscape or sent to facilities for processing into reusable materials (topsoil, compost, mulch). Ask how your landscape firm recycles landscape material, and whether you can purchase recycled, organic material for use on your northeast Ohio landscape. When a landscape firm waits for the call to treat a problem, their curative approach is little more than a Band-Aid on the problem — a temporary fix. The property will fall back into its old (bad) habits as soon as the treatment has worn off. The opposite approach: proactive planning and monitoring that incorporates ongoing site visits. It’s all about “cultural practices.” That’s another way of saying: Mind the land. Pay attention to it. Provide it with the essentials: water, nutrients and proper maintenance practices. Incorporate Integrated Pest Management (IPM), which prevents wasteful over-servicing and the use of abrasive chemicals. How regularly does your commercial landscape maintenance firm visit your northeast Ohio property—and what’s the plan for addressing weeds, disease and other issues that crop up? We all have a responsibility to conserve water: It’s a valuable resource, and a limited one. Communities that experience severe droughts and water restrictions understand that we should “spend” our water with the same care that we use when applying bio-nutrients and other lawn care products. 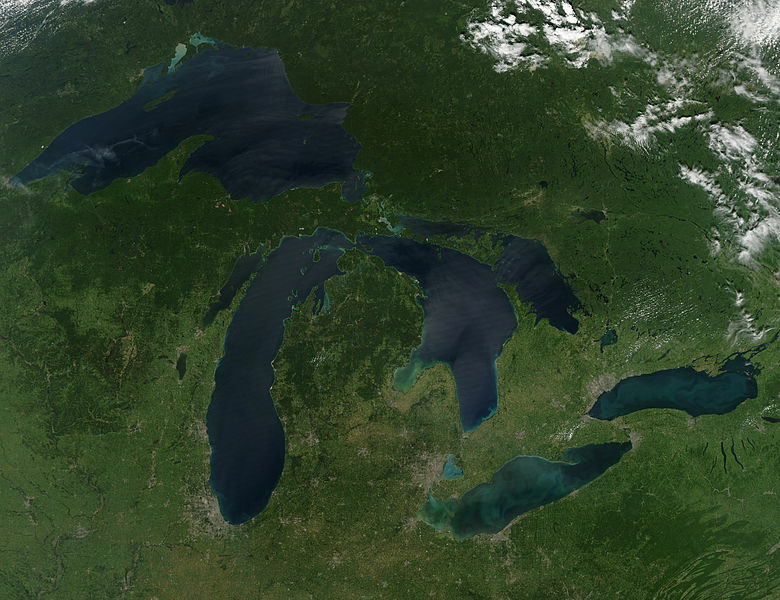 By reducing synthetic fertilizers, you can reduce runoff into storm sewers and prevent phosphates that cause toxic algae blooms from entering our water sources: creeks, streams, rivers and Lake Erie. Further, water conservation is achieved by adopting smart irrigation practices. That includes running an efficient system and choosing appropriate plants in the landscape. Find out how your irrigation system can be managed to conserve water use. Ask about plants and landscapes that require less water and even improve water quality. Sustainable snow removal is also among our highest priorities. The harmful effects of deicing products can be significantly reduced by using innovative liquid deicers for snow and ice removal. No two snow storms are alike so that means the products that we use to melt away snow and ice have been carefully selected and responsibly applied to keep everyone and your property safe. This approach allows us to use less product, saving you money, preserving the integrity of your property, and reduces our impact on the environment. We can make fewer applications on road and pavement surfaces when using liquid deicers. This saves time and fuel. When shopping snow removal services, find out how deicing products that melt snow and ice are treated prior to landing on your property, and ask about ways to reduce the amount of chemicals applied to surfaces. We walk the talk. 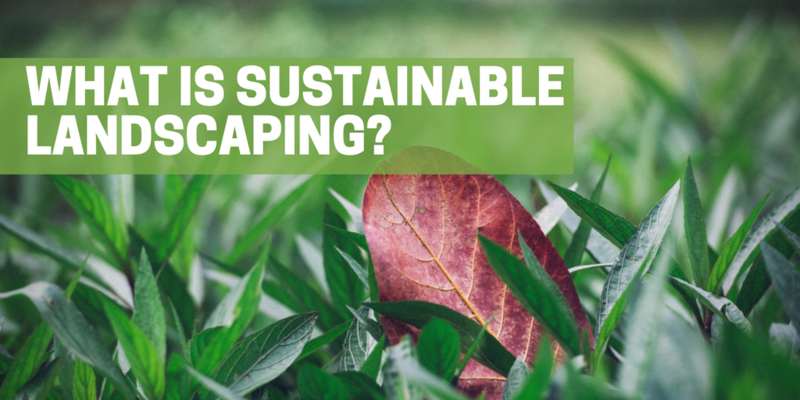 Sustainability means focusing on solutions that preserve the environment, improve our communities and save our commercial landscape property owners time and money. Everyone wins when mindful practices are put into place. Find out more about the Schill Sustainability Commitment. Give us a call any time at (440) 327-3030 — or fill out our simple contact form — and we’ll get in touch with you.